I grew up in a mountain community from the time I was five years old. The roads are well developed, one or two lanes along wilderness paths, and a main four-lane highway making its steady incline around 117 miles of curves and horse-shoe bends. The best time to drive the mountain highway is during the day in clear dry conditions. Often rain or snow conditions make traveling treacherous. During the colder seasons drivers are well acquainted with fog on the mountain. With peaks reaching upwards of 8,000 ft elevation, clouds hang like a wool blanket about the rocky fringes of the slopes and settle into valleys. I have memories of some unsettling car rides up the winding cliff-side route in poor weather conditions. 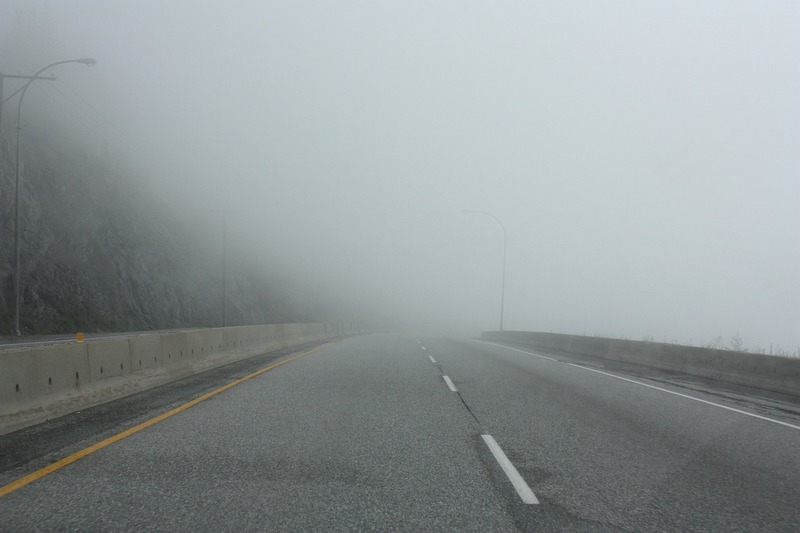 In the fog, drivers depend on a few things to guide them safely to their destination: head lights, tail lights, painted lines, and a guard rail. At times the fog is so dense, even during the day a driver can get lost in the heavy mist. Clouds envelop the vehicle so that the view out the front window is nothing but white. The only thing giving the driver any sense of direction is one dashed white line separating you from an on coming vehicle. And on the cliff-side, a feeble guard rail promises to prevent your car from plunging down the side of the mountain. Have you ever felt like this in life? Have you ever been in a place where you felt like there was no seeing the path in front of you? Where you felt as if you may be lost, desperately looking for something to guide your way? I’ve been in a few seasons like that myself, even now seeking direction and road signs to keep on the right path. Let me assure you my friend, even in the dense fog of life, you are not alone. There is One who will guide your way and lead you along sure footed paths. The thing about traveling along foggy roads is not to let fear take over. Trust that ever fixed mark painted along the road and keep your eyes on the path before you. 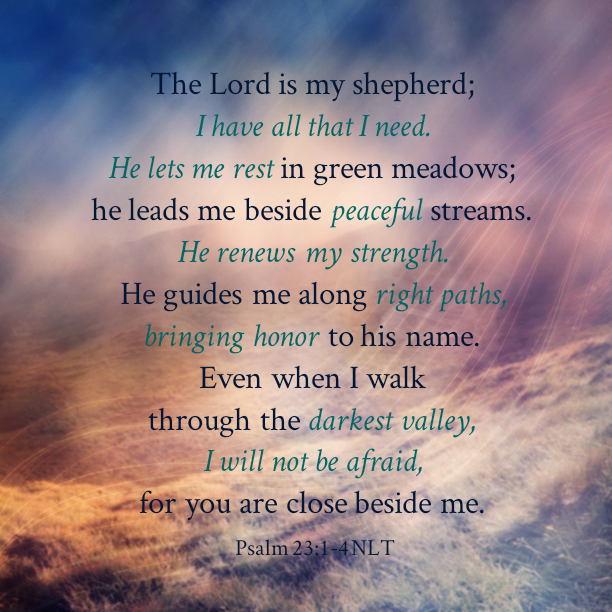 The one who calls himself the Good Shepherd will never leave you nor forsake you. He will deliver you along right paths for your good and his glory. This is the way of praise. Times of searching and waiting can be the most precious seasons in our faith. When we lean on God and trust his direction for our lives, he reveals his love and will for us in such personal and profound ways. In times of waiting, I experience a greater devotion to seeking God. And the thing is, when a heart is desperately searching like this, God breaks through. He ignites sparks of his love light that shine the way home. Knowing God is with me and feeling his care through the darkest valley causes me to erupt in spontaneous praise as I recall his promises.